Married when she was barely 19, Betty Auchard went straight from her parents’ home to her husband’s bed. 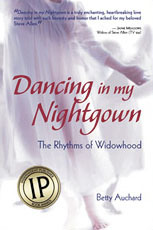 When she loses Denny to cancer after almost 49 years of marriage, widowhood forces Betty to find out what she can do on her own. She has a lot to learn, having never been single before. These short, upbeat, inspiring stories tell us how this spunky septuagenarian survives—she decides to dance instead of sitting on the sidelines. Betty laughs and cries her way through grief and, ultimately, comes to see her situation as normal. “None of us is going to get out of this alive, and someone is always going to be left behind feeling sad.” Betty shares her journey of widowhood with poignancy and humor. She places “guy” things around her bedroom so the plumber won’t realize that she lives alone. She sweats at the gym, flirts with gray-haired men, swims laps, and then tirelessly dances into the night. Betty’s road to self-sufficiency is filled with laughter, creativity, connection, and transformation—and tears, self doubt, and lonely nights. Through it all, Betty lands firmly on her feet, ready for whatever comes next. The story on the last page, “Dear Online Matchmaking Service” doesn’t feel like an ending at all because, really, it’s just the beginning. Available in e-book, paperback, and audiobook. 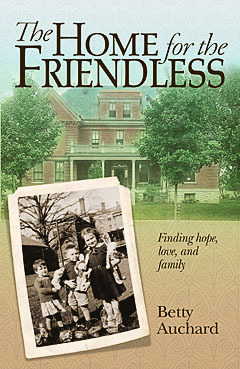 The eldest of three in an unconventional family making their way through The Great Depression, Betty narrates her own humorous and poignant recollection in The Home for the Friendless. Although poor in possessions, Betty’s family leads a life so rich in turmoil that it rivals today’s sitcoms. Betty’s young parents tie and untie the marital knot three times amidst a string of separations. 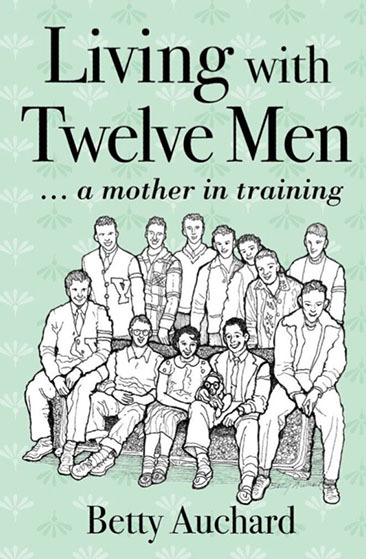 When relatives become too weary to keep the children, Betty and her siblings are dropped off at The Home for the Friendless where they enjoy three meals a day, indoor plumbing, a grassy playground, and plenty of holiday parties. The family reunites two years later and the roller coaster resumes. The Peals move multiple times across two states, proving that love overcomes all and that normal isn’t always better.